Where you actually are doesn’t have to be the address you use for you, or for your business. In this post we look at what our addresses can and can’t be used for and which might be best for you. There’s many situations where using a different address to the one where you live or work could be beneficial. If you’re in business, if you receive parcels, if you want to keep your address private, one of our addresses could be just what you need. A PO Box is a numbered address which keeps your real address private. If you run a business from home or simply want to keep your address private, a PO Box is a great option. Letters only – You can only receive letters at our PO Box addresses. However, if you want to receive parcels too, you can have them sent to your UK Postbox Courier Point Address (free with all accounts). Business correspondence address – Whether you run a business from home or a large business, a PO Box makes it easy to receive mail whilst protecting your privacy. Personal correspondence – Perhaps you travel around a lot, or just want to keep your home address out of the public domain. A static PO Box address can help you. Marketing campaigns – If you’re running a marketing campaign for your business, where customers have to post a coupon or competition entry back to you, a PO Box address makes it easy. It’s shorter for your customers to write, plus it keeps this mail separate from the rest of your business mail. Privacy – There are many reasons why you may not want people knowing where you or your business are. A PO Box address helps keep your address private and your correspondence separate. IMPORTANT – PO Box addresses cannot be used for Company registration. If you need to register your business then please use one of our Registered Office Addresses. Our London Street Addresses are popular with businesses owners and individuals alike, they give you the prestige of having a London address without the usual overheads. Businesses, customers and clients naturally think a business is more established if they’re located in Central London rather than in the suburbs. For individuals it gives the impression you’re always in town, even if you’re actually not. Letters only – like our PO Boxes, we can only receive letters at our London addresses. Don’t worry though, all of our accounts come with a free Courier Point Address for your parcels to go to. Personal correspondence address – Handy if you travel regularly, but want to receive your mail in one place. Business correspondence address – Receive all your business mail in one place. Business trading address - Reap the rewards of showing your customers an address in prestigious Central London. Our Poole address is by far our most flexible address. It can be used for ANY of the purposes we’ve listed on this page, which is what makes it one of our most popular! Can be used for both letters AND parcels, it’s the only one you can use for both! If you’re looking for a super flexible address then this is the choice for you! 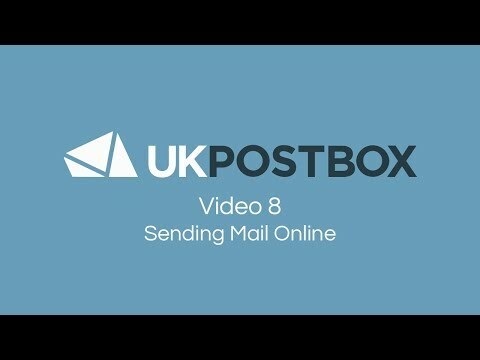 Wherever you are in the world, UK Postbox can help you read and receive your mail. If you travel regularly, we can help you receive your mail in one place. If you’ve just moved home, our Royal Mail Redirection Address service helps you protect your privacy by making sure your mail doesn’t arrive at your old address, what’s more you can then access it online. Can only be used for redirected mail – You can’t use the service as your primary correspondence address, see our PO Boxes or Street Addresses for that. You can use this service to receive letters and parcels. We cannot setup the Royal Mail Redirection for you, you will need to sign up to to get your free address from us and then instruct Royal Mail to redirect to it, we can’t do that for you. Our UK Courier Point Address service is popular with people who live or work overseas but want to buy products from the UK. UK Postbox can receive parcels on your behalf , then help you get your hands on them. Parcels only – You cannot receive letters using this service. If you need to receive letters then make sure you get a free PO Box too. All UK Postbox address services give you a courier point address as part of the package. Our Registered Office Address service helps businesses to operate in the UK from anywhere in the world. To register a company in England and Wales, the law requires you to have a registered office address, publicly available for anyone to see. It’s used by HMRC and the Government in their correspondence. If you run your company from home, for example, you may not want your home address in the public domain. A registered office address helps keep your real address private. Overseas businesses use this service when they want to register in the UK too. Can only be used for correspondence from Companies House and HMRC. Not to be used as a trading address for customers or suppliers, you can get a Street Address with us too if you need this. If you are the Director of a company in the UK, your address will be listed on the public record. If you want to keep your address private or want to be able to access your post online, one of our Directors Service Addresses can help. Your address will be listed with Companies House and HMRC as one of ours, rather than yours. Not to be used as a trading address. If you run an online retail business, trading on platforms such as Amazon, eBay or Etsy, you need an address for customers to send their returns. With our Returns Address service, you can take advantage of a physical address in the EU which your customers can use to send back unwanted goods. Streamline returns management with a Returns Address Service. Hopefully this article has helped you understand more about the address services we offer here at UK Postbox. If you are unsure or would like to find out more, you can contact us using the live chat feature on our website. We look forward to hearing from you, wherever you are.